Next generation leaders were matched with senior executives at a mentorship breakfast. A new professional development half-day track for emerging leaders in the public-private partnership (P3)sector attracted 42 participants to ARTBA’s 29th Annual P3s in Transportation Conference. 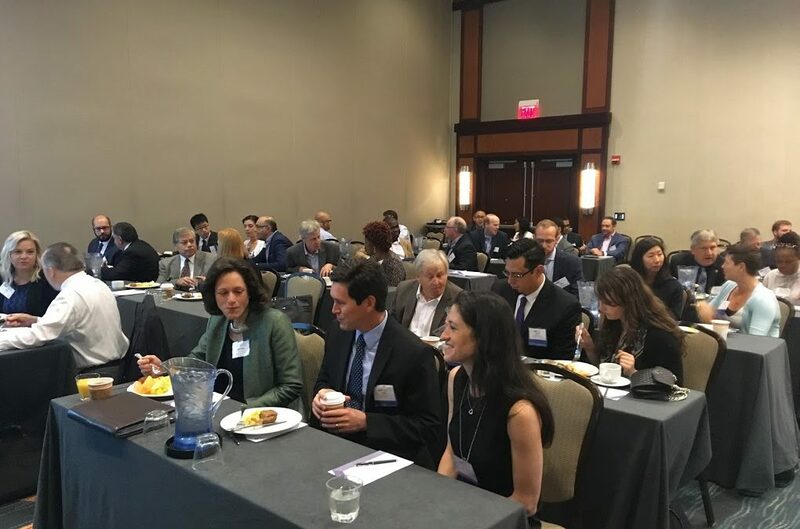 The attendees came to the July 14 session in Washington, D.C. from public agencies, private companies, universities, and associations. The next generation leaders networked with each other and were matched with senior executives at a mentorship breakfast. In breakout sessions planned by their peers, they also heard career development tips and learned more about the challenges facing the P3 industry. ARTBA also partnered with the Young Professionals in Transportation (YPT) – D.C. Chapter for a July 13 reception, sponsored by Nelson Mullins Riley and Scarborough, LLP. The evening event featured an appearance by D.C. Mayor Muriel Bowser, as well as remarks by ARTBA’s Senior Vice Chairman Matt Cummings of AECOM, who encouraged young professionals to take a more active role in the P3 industry. The half-day track and reception grew from a young executive panel at last year’s P3s in Transportation Conference, and a P3 Forum for Young Professionals in October 2016. ARTBA thanks attendees at all of these events for their involvement and looks forward to playing a greater role in promoting, protecting and improving the future of the P3 industry. Visit the group website for information on how to remain involved and learn more about upcoming events. Contact me at arose@artba.org with questions.